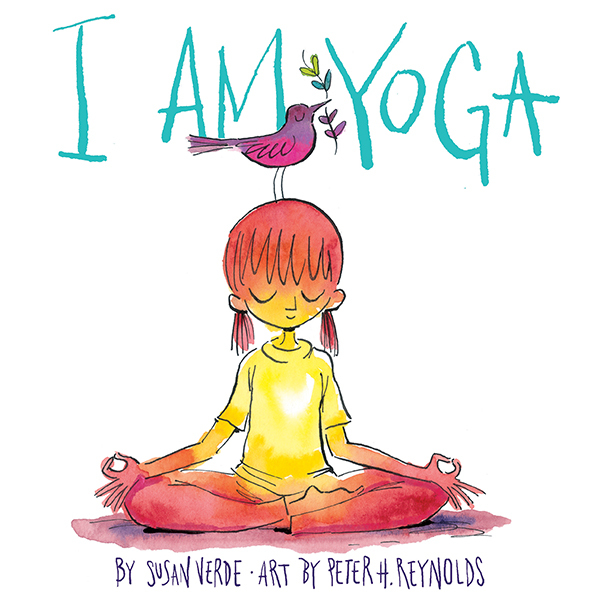 I Am Yoga by Susan Verde teaches us that when we align our hearts, minds and bodies anything is possible. Yoga, a Sanskrit word meaning “to join,” is a practice that enables each one of us to connect with the many elements on this earth in our own special way. Once we know we can carve out a unique spot that feels right for us, we know we are never alone. This book not only is a great introduction to yoga, but teaches children to embrace their individuality, as a gift and not something to fear. In a world, that can seem overwhelmingly large, it is nice to know that this practice of yoga, can make us feel one in our being. This book sends a beautiful message. It shows children that there is no one right way to feel and when we have feelings that seem unmanageable, there is a way to experience them that feels safe. I love how it incorporates references to nonviolence and anger management skills. The illustrated guide at the back of the book introduces children to basic poses and explains them in an active and explorative manner.